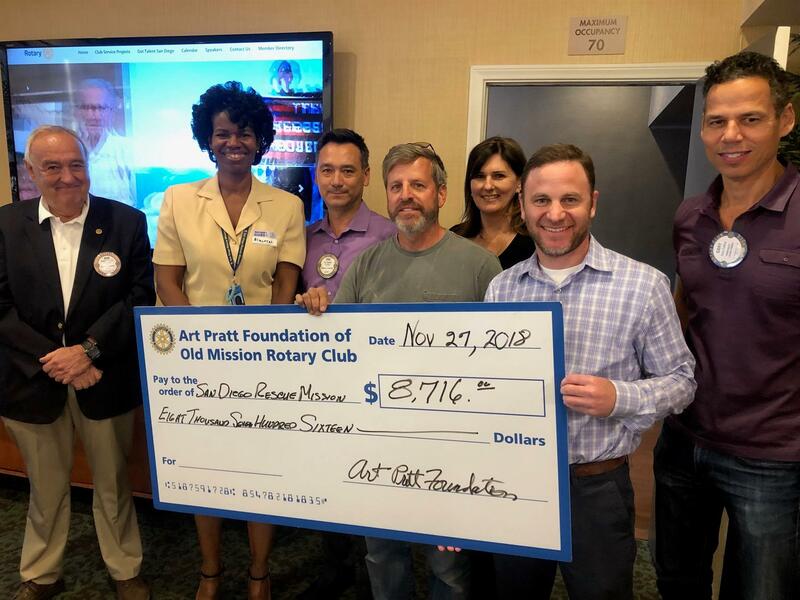 The Art Pratt Foundation of Old Mission Rotary awarded a grant on November 27, 2018 to the San Diego Rescue Mission. 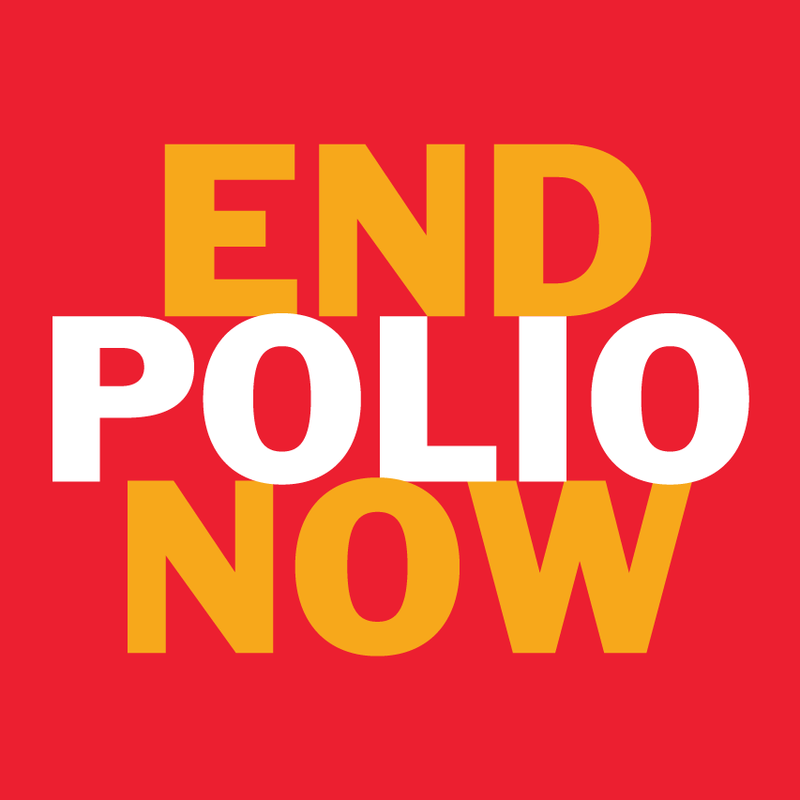 The funds of $8,716 will be used to refurbish a computer and study center for the children of homeless families. Ameatra Smith of the San Diego Rescue Mission accepted the check and was so excited that her very first grant request for the organization was approved! In addition another grant in the amount of $2,499 was presented to Clairemont High School's Clairemonster Robotics Team on November 20, 2018. Photo L-R: Old Mission Rotary President, Bob Chalfa; Ameatra Smith from the San Diego Rescue Mission; Art Pratt, board members Erick Benink, Mark McAnelly, Sherrie Suanico, Lee Kaminetz and Gary Collins. 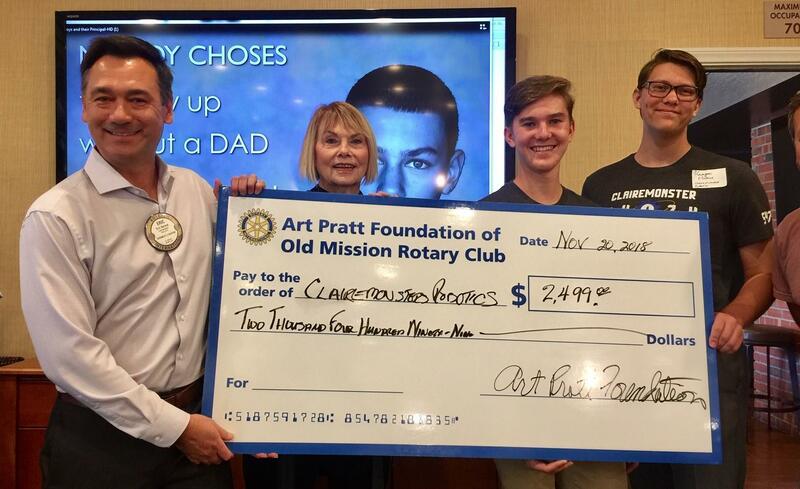 Photo L-R: Erik Benink and Judy Copeland of the Art Pratt Foundation of Old Mission Rotary with robotics engineers, Charlie Jenkins and Keegan Holmes.